School watersports trips and adventure trips are hugely successful inclusions in the school calendar, the students love them, staff look forward to them and they provide the perfect platform for inspiring and motivating students. But what did our party leaders say were the most popular beach activities on the Med? School watersports trips are a great way to find inspirational activities that really give the students the opportunity to feel a unique sense of achievement, in a new and foreign environment. How many really new challenges are there? Windsurfing combines the freedom of surfing with the tranquillity of sailing. The extraordinary feeling of being in touch with nature as the wind catches in your sail and you begin to move across the water is completely captivating. Nothing is actually quite as easy to learn as snorkelling. With just a snorkel, a facemask and a pair of flippers you can enter a silent and beguiling world under the waves. Time never passes quite as quickly as it does when you are exploring the ocean and students on a school watersports trip never forget the experience. Kayaking is huge fun and mastering the manoeuvrability of a kayak with your paddle is an art form in itself. The great appeal of being so close to the water in your craft is the feeling of being at one with nature and there is no better way to spend a sunny afternoon on the Med. As more and more people discover Stand Up Paddle Boarding its popularity has spread as it appeals to all types of water enthusiast. Kids love it and once they work out their balance and how to use the paddle there is no holding them back. 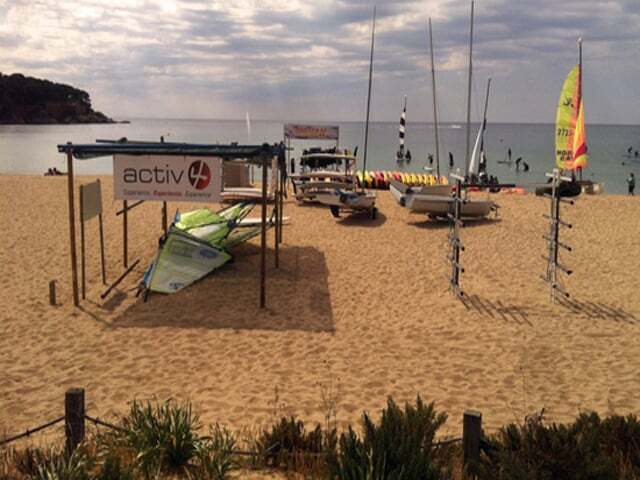 Our top offer: And the even better news is that all this is available for your groups on the wonderful Blue Flag beach in Sant Pol on the Costa Brava for prices from just £425! Call us on 01743 469 747 to talk to one of our friendly advisors or get a quick quote.